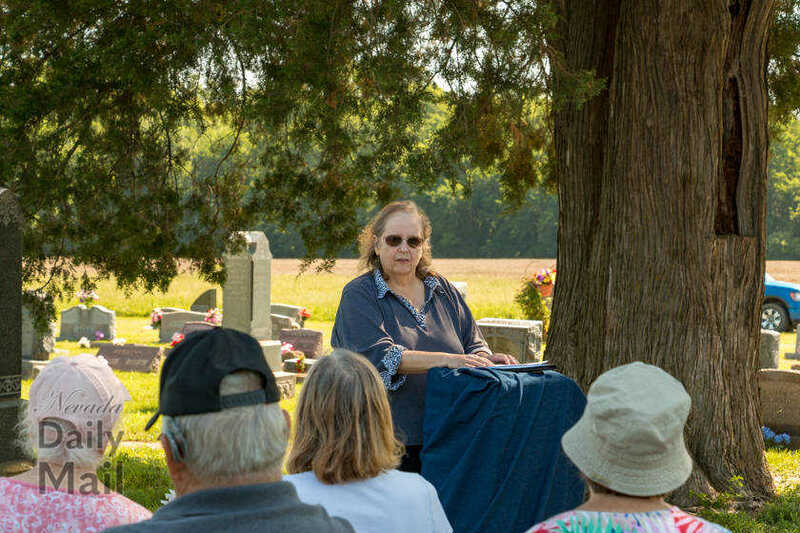 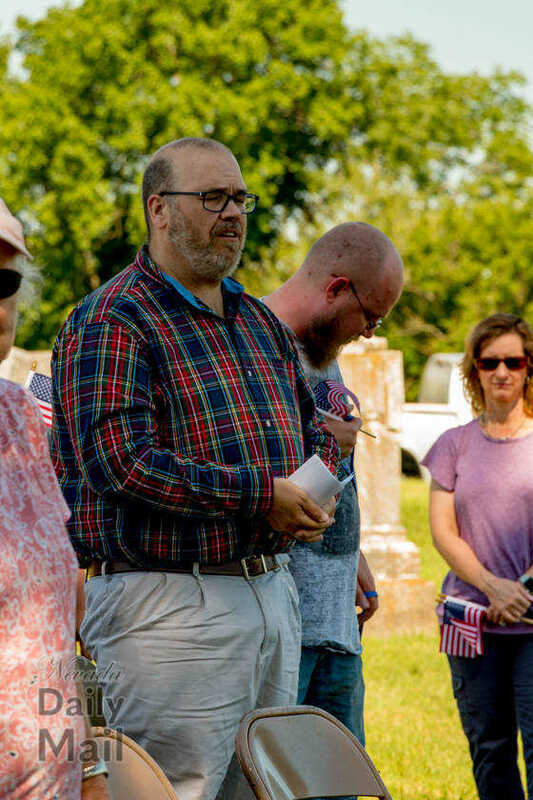 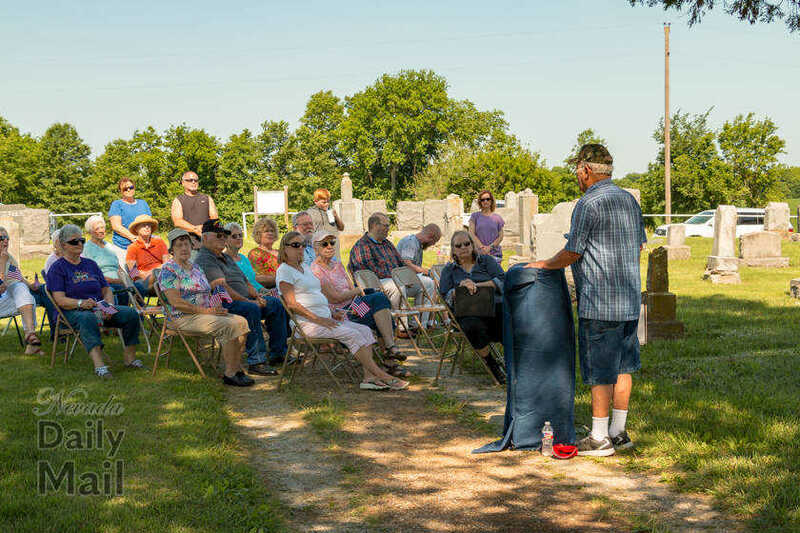 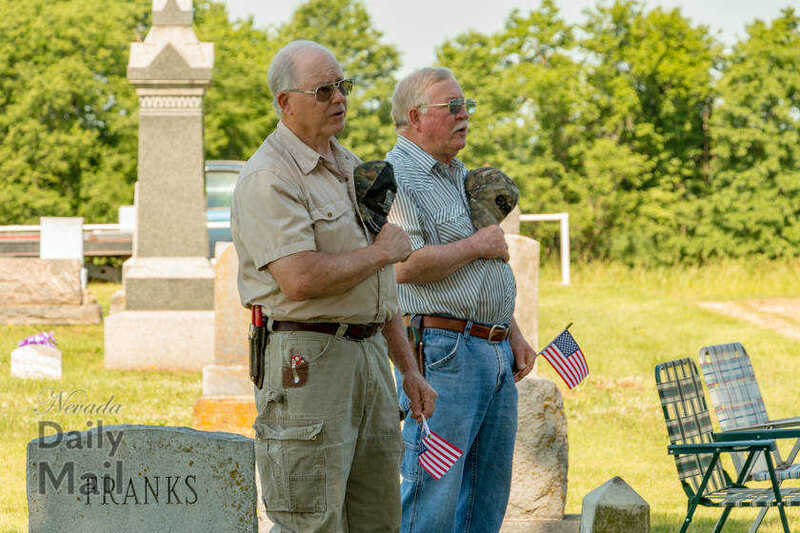 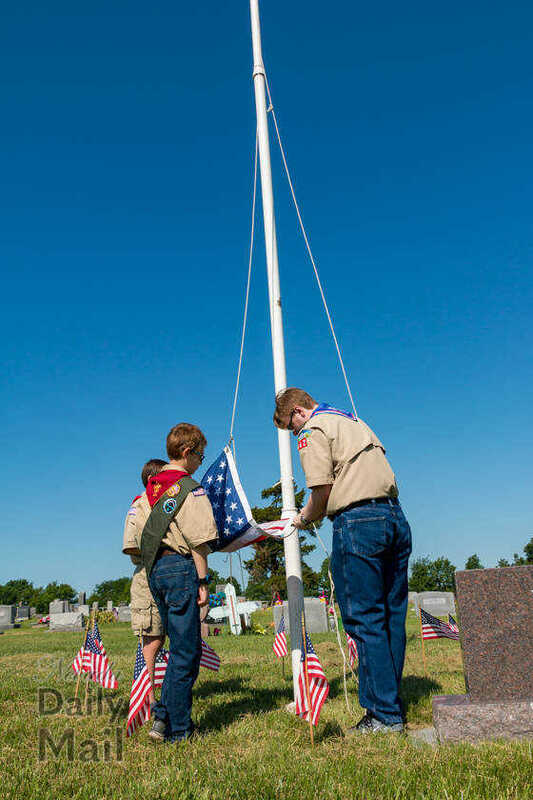 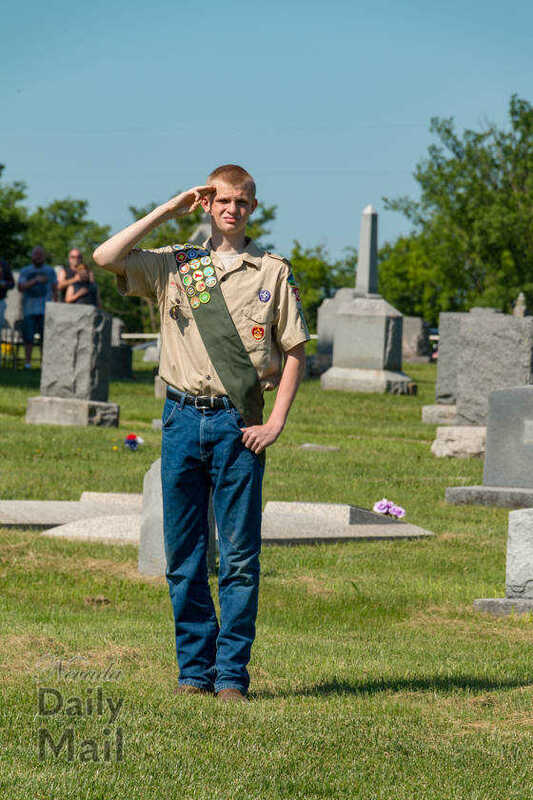 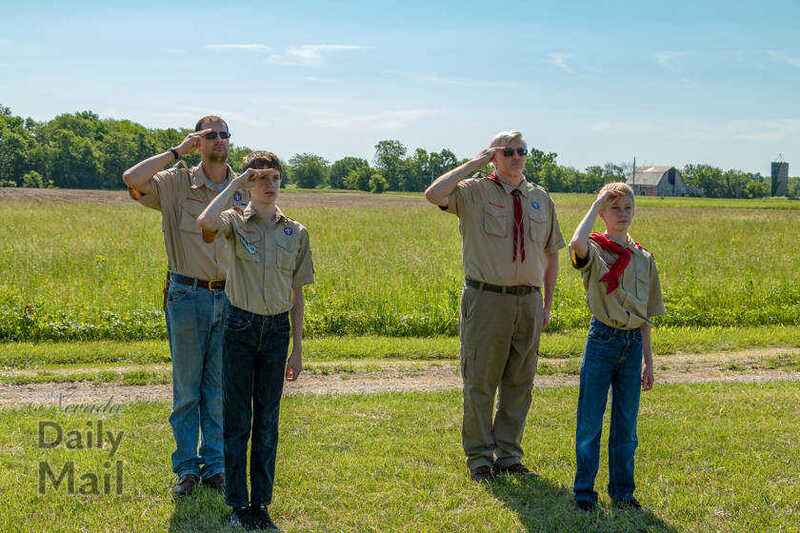 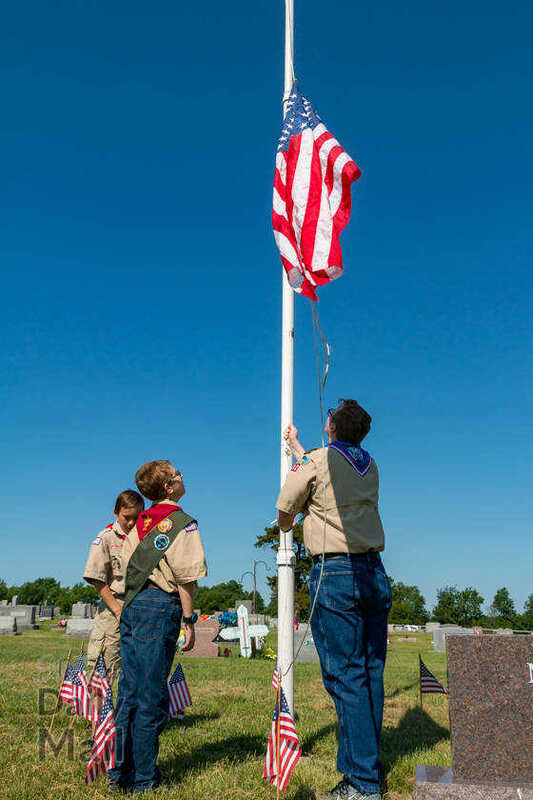 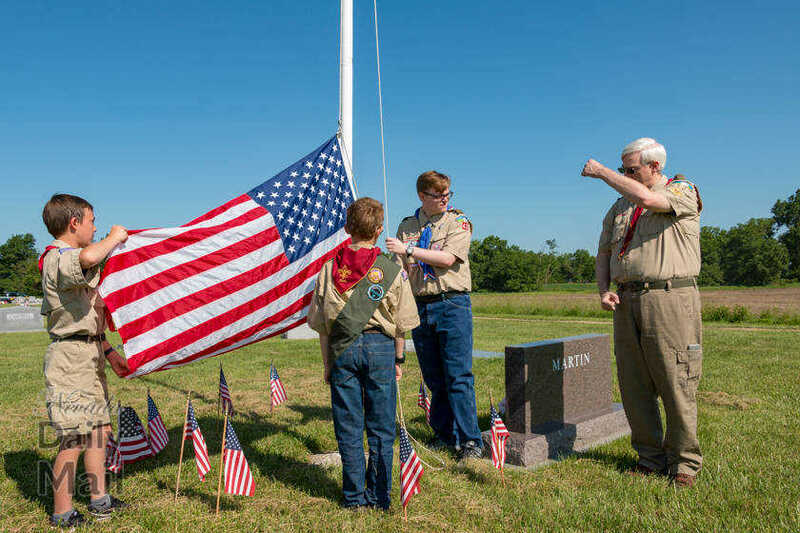 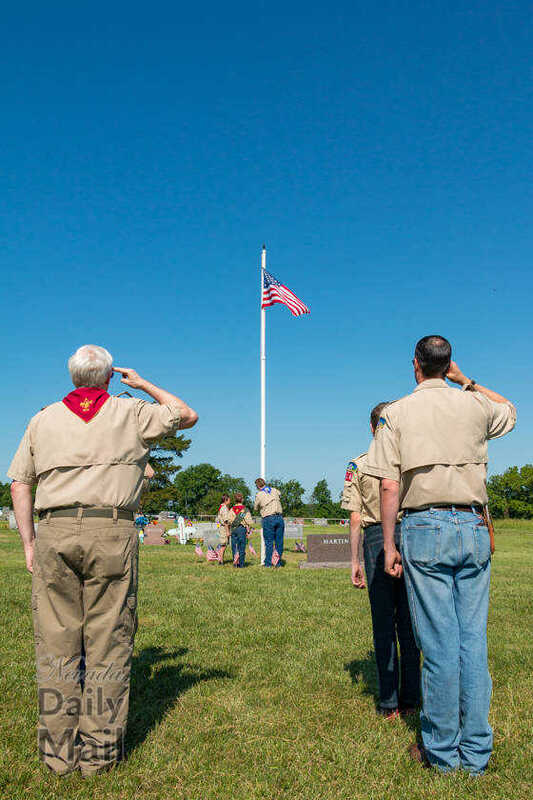 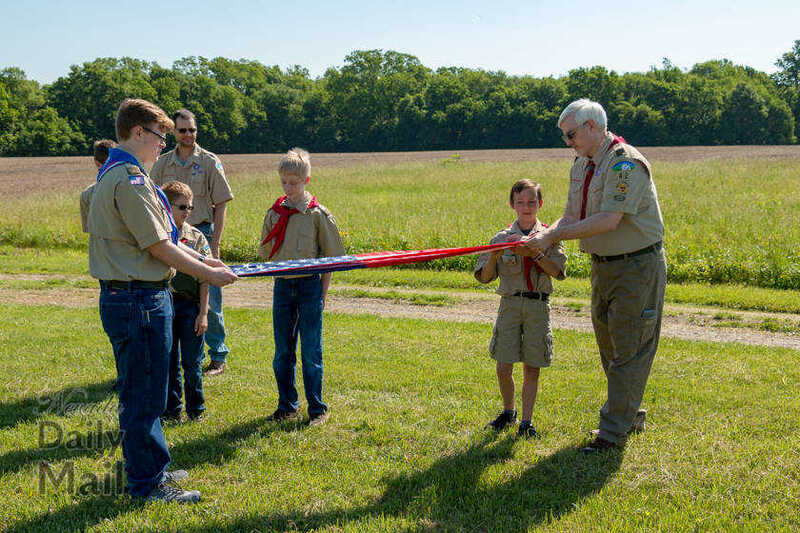 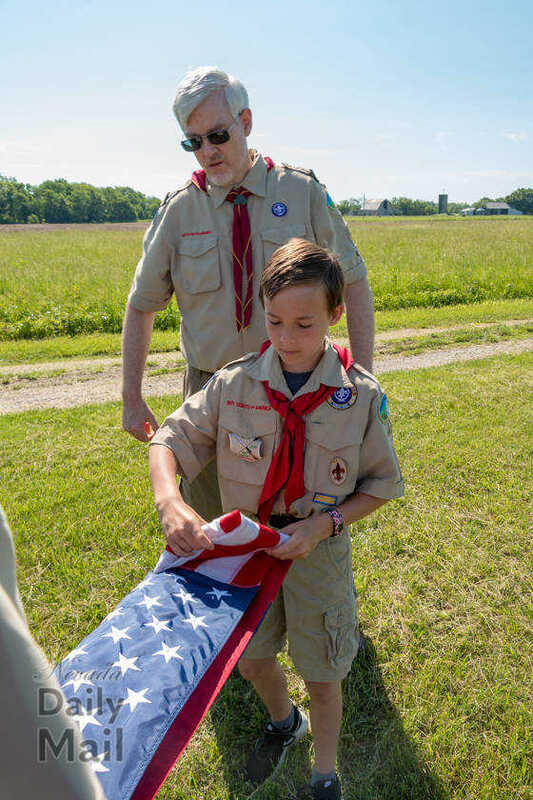 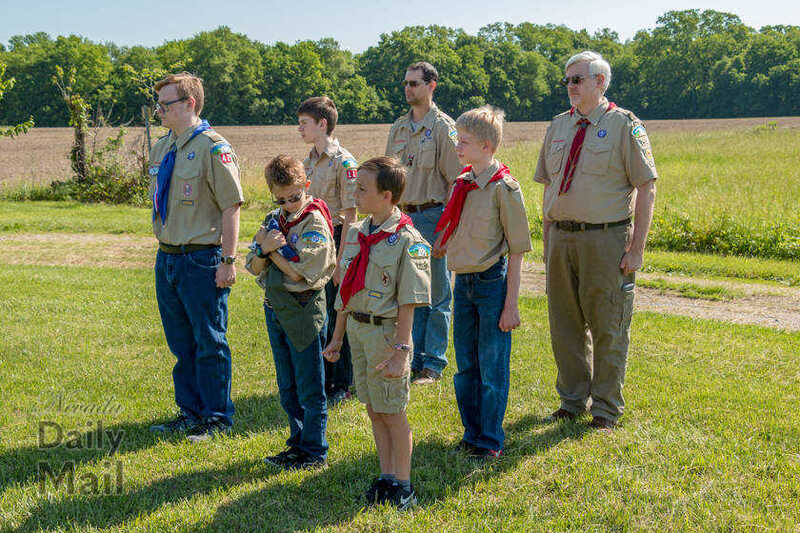 Members of Boy Scouts of America troop 42 provided the color guard for a Memorial Day ceremony at Welborn Cemetery near Moundville on Saturday, May 26. 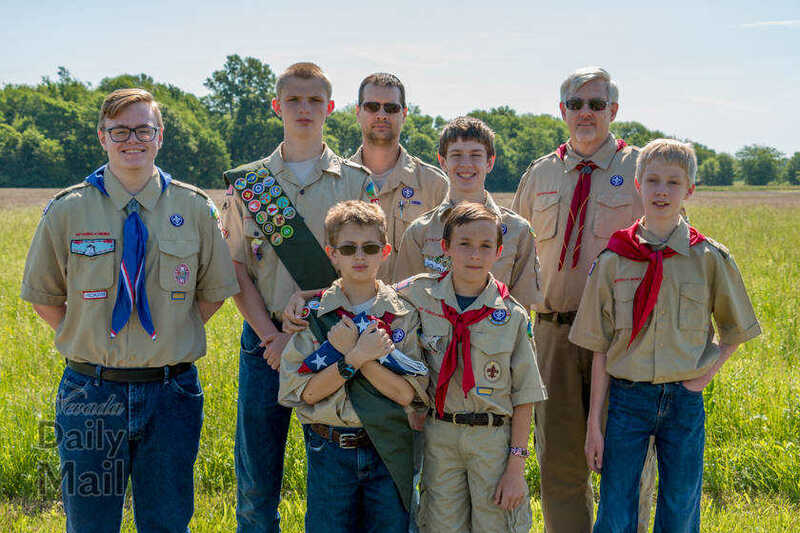 Pictured are (back row, from left) Steve Austin, Mike Hunter., (middle row, from left) Ian Hunter, Damien Austin, Lee Davis, Issaac Hedges, (from row, from left) Aidan Austin and Lane Lyon. 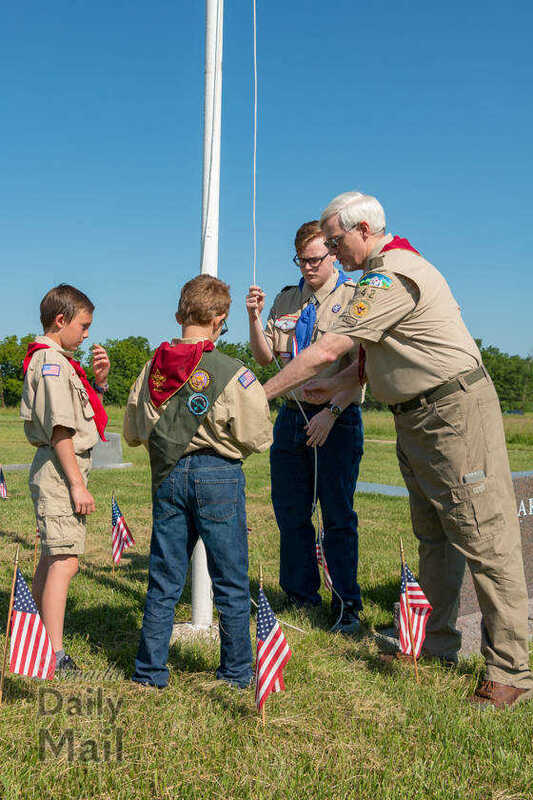 Members of Boy Scouts of America troop 42 provided the color guard for a Memorial Day ceremony at Welborn Cemetery near Moundville on Saturday, May 26.